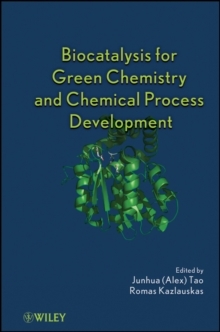 This book describes recent progress in enzyme-driven green syntheses of industrially important molecules. The first three introductory chapters overview recent technological advances in enzymes and cell-based transformations, and green chemistry metrics for synthetic efficiency. The remaining chapters are directed to case studies in biotechnological production of pharmaceuticals (small molecules, natural products and biologics), flavors, fragrance and cosmetics, fine chemicals, value-added chemicals from glucose and biomass, and polymeric materials. The book is aimed to facilitate the industrial applications of this powerful and emerging green technology, and catalyze the advancement of the technology itself.